Bronze Age settlement research, particularly the interest in multi-layer tell sites and fortified settlements, has a long history in Hungary. However, in spite of the numerous excavations, only few results have been fully published until today, while a significant number of research reports remained unpublished. Currently, only two major international project are devoted to the excavation of a Bronze Age tell, namely Százhalombatta-Földvár and Vráble-Fidvár. An interest in the spatial organisation of Bronze Age microregions combined to systematic survey activities is only gradually developing. To this end a joint project was established by the Department of Archaeology, University of Miskolc, and the Institut für Ur- und Frühgeschichte, Universität zu Köln, on Hatvan and Füzesabony sites along the foothills of the Bükk mountains and on the Borsod Plain, northern Hungary. So far, an intensive survey programme has been carried out on the settlements of Em?d-Nagyhalom and Tard-Tatárdomb. The joint project will eventually cover a larger number of Hatvan tells - most of which were already mentioned in Nándor Kalicz' monograph on the Early Bronze Age in north-eastern Hungary published in 1968. The sites are situated along the foothills of Bükk mountains on the northern periphery of the Hatvan culture and on the flatlands of the Borsod Plain. Considering their multi-layer inner settlement cores they can be categorised as tells or tell-like settlements. However, the inner cores of these multi-layer sites are just one part of a more complex whole. They are surrounded by an outer settlement that is separated by a deep and wide ditch from the inner tell part. The outer settlement itself can be divided in two parts: There is an intensively used inner part probably with houses and an outer part featuring pits that could be indicative of an everyday activity zone of some kind such as storage or production. The precise chronological and functional relation of these settlement parts will be the subject of future work. It is likely, however, that at some stage in their development both the inner and outer part of such sites were used in parallel, following some kind of order or rule. This type of settlement cannot be properly understood without explicit reference to both its parts and a significant increase in the information available on the outer part of the settlement in particular. With their combination of a tell part and connected outer settlement Hatvan and for that matter Füzesabony sites of our study area differ, for example, from the settlement structure found in the Vatya culture where the whole site tends to be enclosed. Furthermore, unlike the Vatya situation, in the Hatvan and Füzesabony groups of our study area we have little indications that the tells or fortified sites were surrounded by a network of open satellite settlements. Such regional variation in settlement patterns is often neglected and needs to be adressed on the basis of a better understanding of the internal organisation of such sites. To this end, new data from systematic fieldwalking and the application of geophysical survey methods is required. Similarly, the dynamics of such settlement systems and their individual sites through time is often ignored. For example, not all the Hatvan settlements in the Borsod plain and in the Hernád valley are covered by subsequent Füzesabony layers. On the one hand, some of the former Hatvan sites continued to be in use, but their number declined, and on the other some Füzesabony settlements were newly established. As a result the Füzesabony settlements tend to be larger and are located at bigger distances. The land use and settlement structure of both groups were different. Here the obvious question is, if the same applies to the northern foothills, and just how many Hatvan villages remained in use during Füzesabony times? 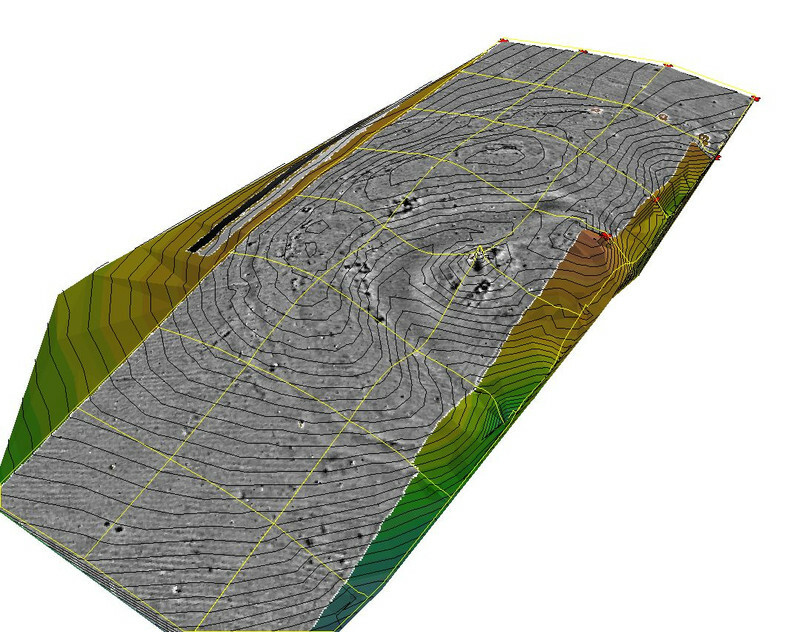 Our current research is based mainly on intensive archaeological survey, aerial photography, topographical measurements and magnetometer survey that provide important data both on the intra and off-site level. After aerial photography and topographic measurement, each site is surveyed by geomagnetics using a multiple sensor magnetometer that enables us to cover large settlement areas at reasonable speed and with high precision. The systematic surface survey that will eventually take place on all the sites covered by magnetometry is much more time-consuming, both during fieldwork and find processing. Following a well-established practice on such sites surface finds are collected in grids of 5x5 m size (inscribed in the larger 50x50 m grids laid out for the magnetometer survey). Normally, this grid size provides sufficient spatial resolution to relate clusters of surface finds to geophysical anomalies, while still being reasonably fast in terms of laying out the grids etc. Due to the size of most of the Hatvan sites under study, it is impossible to cover the whole area of the settlement, in particular its substantial outer part(s). 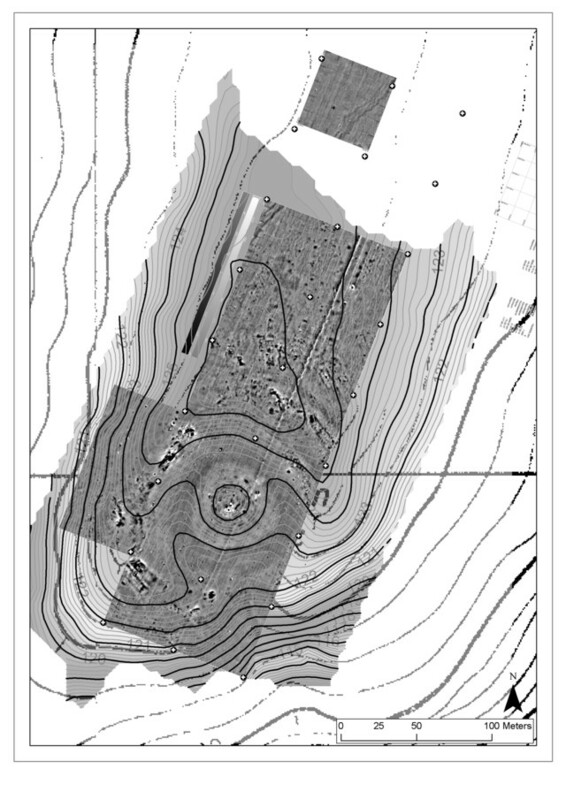 The sampling strategy chosen is to collected the surface finds from a transect some 50 m to 100 m broad that ideally covers the whole of the inner, central (tell or tell-like) part and extends well beyond the outer part of the settlement known from magnetometry to feature houses into the outmost part characterised by general settlement 'pits' only. Unlike much traditional work on such sites getting information on their size as well as on their chronology is not an end in itself. Typology and chronological positioning of the settlements through the analysis of the find material is just the first step in the process. The main objective is to explore the inner structure of the settlements; delineating the settlement parts with specialised function if so at all; identifying the household places; finding the differences, similarities and relations between the inner and outer units; and defining the environmental, economic and social factors determining the geographic location of the settlement. Furthermore, it is asked what factors determined the choice of a site for the location of a new settlement, i. e. defining the environmental, economic and social conditions within the microregion. In other words, one of the objectives of the project is to solve the theoretical problems briefly indicated above with the use of a database built upon field surveys following a complex methodology. In the long-run it is asked what role the surveyed settlements had to play within the settlement network of the Hatvan and Füzesabony cultures, and an attempt will be made at reconstructing the land use, economy and society.